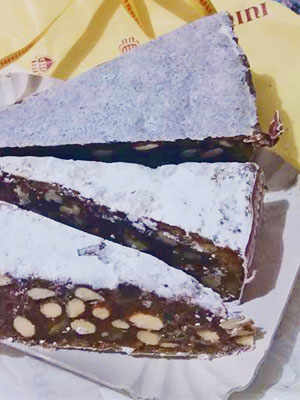 Based in Tabiano, Emilia-Romagna, famed baker Claudio Gatti has created the tastiest Easter cakes, , low in butter, in the guise of colomba and focaccia. 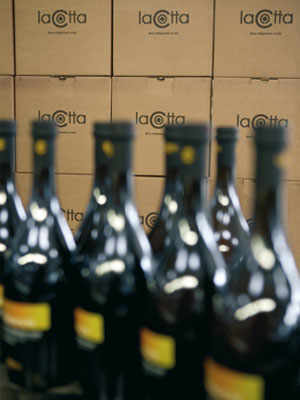 In addition to the classics, Claudio likes to experiment with new ingredients and new interpretations every year. 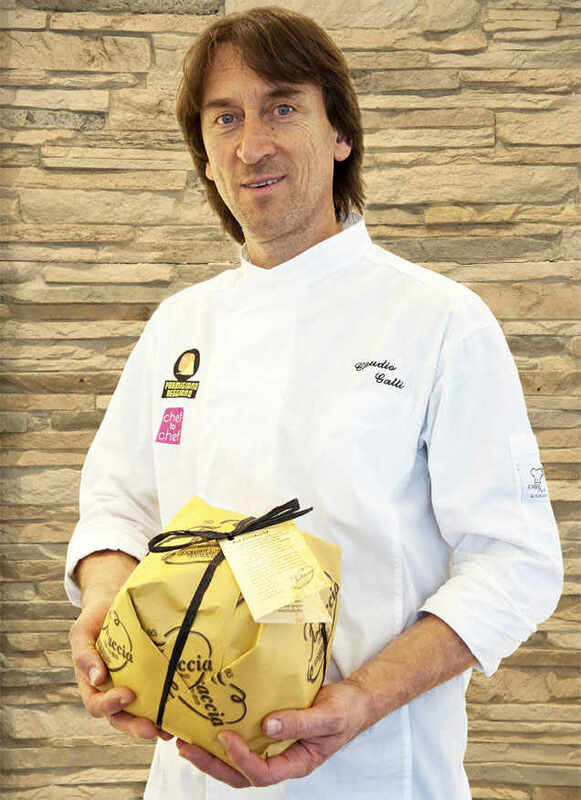 Pasticceria Tabiano began its operations in 1988, when Claudio Gatti and a few collaborators opened the shop in Tabiano Terme, a small town located in the Parmesan hills, Emilia Romagna. The bakery has been family-run ever since. All of Claudio’s products are hand-made according to tradition and quality standards. Part of the great renown of Pasticceria Tabiano lies in the Focaccia and Pandolce, prepared with Brisighella extra-virgin olive oil. 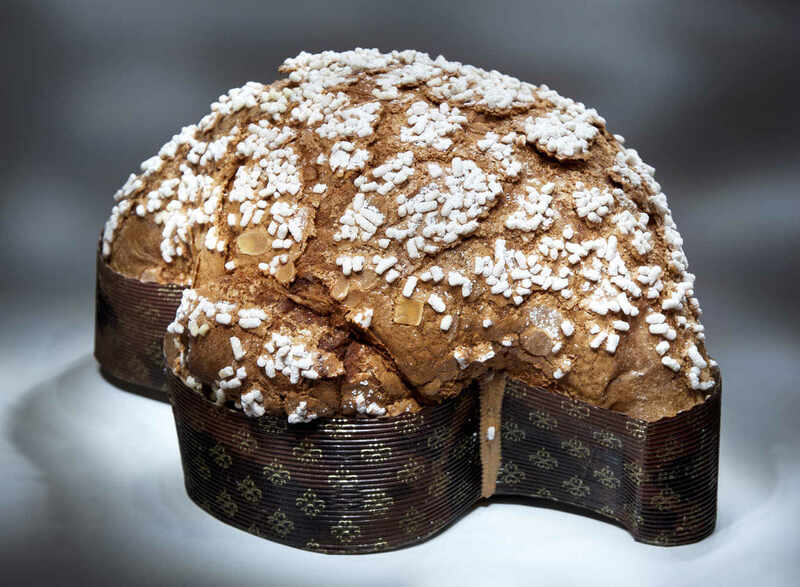 Tabiano’s Colomba is in fact a sweet leavened focaccia, dove-shaped as a traditional colomba. 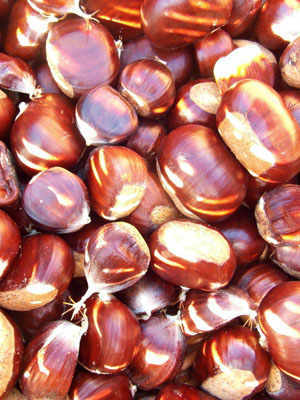 It takes approximately 36 hours to prepare one, including the natural leavening process. Focaccia is still mostly hand-made, with the finest ingredients: the flour, eggs, candied peel, butter and Brisighella oil are almost entirely organic and locally produced. The whole process begins with the so-called sourdough starter, which needs great care and periodic refreshments, that is additions of flour and water every four hours. Sixteen hours, the sourdough is incorporated in a mixture of flour, sugar, eggs, butter, honey and fruit, which is subsequently poured into the moulds and left to rest in a temperature, steam and humidity-controlled environment, for 12-14 hours. 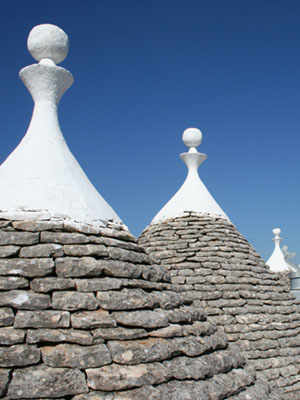 The dough is decorated with a rich glaze and then baked. The focaccia is hung upside down while cooling for 8-10 hours at room temperature, and finally sprinkled with syrup, whose flavour varies according to the type of focaccia. Tabiano’s Focaccia is very low in butter, notwithstanding its soft, moist consistency. In other words the fat content amounts to only 11.3%. Each cake is labelled with a thorough list of the ingredients and their origin. The focaccia must be stored in a cool and dry place for at least twenty days. Within three weeks, the cake will have reached a perfect balance of flavours. The focaccia comes in a wide array of versions, which include Maraschino, Grand Marnier, beer and green tea, as well as some unusual fillings such as Parmesan and Balsamico cream or Parmesan and pear cream.